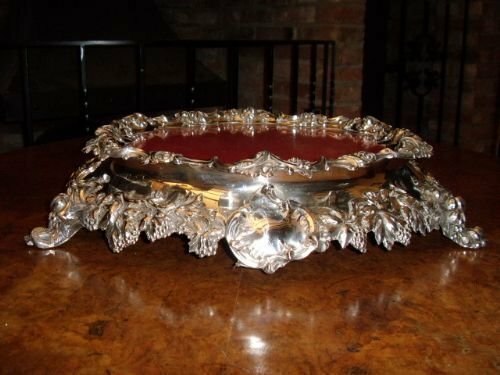 A MAGNIFICENT SILVER PLATED STAND BEING COPPER BACKED & DECORATED WITH BEAUTIFUL FOLIAGE OF GRAPES & LEAVES. 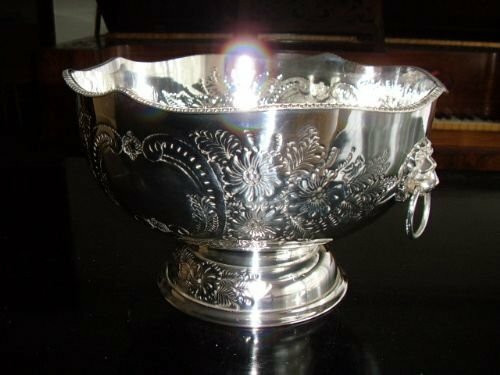 The foliage is in the form of ornate grapes and leaf design,all being carefully attached by silver soldering around the circumference. 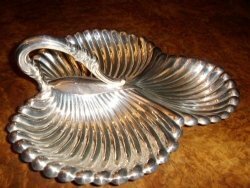 There are three scrolled pad feet raising the item to 4.25 Inches in height. 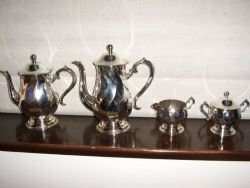 The Ornate Stand cleans very easily with a silver polish and soft cloth,looking remarkably better when done every 6 mths,and has just been done. The underneath of the ornate stand has been crafted in solid mahogany which has a removable square panel to allow access to a red cloth trim under the glass. This adds considerable weight generally. 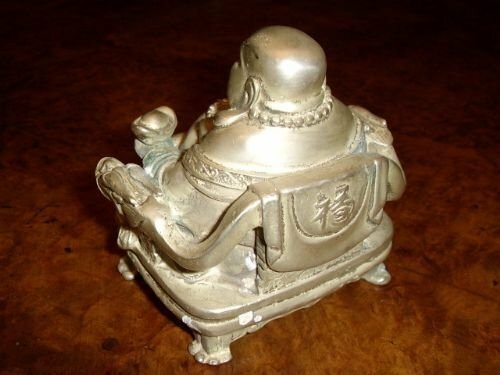 It is my belief that this item is a"Silver Tree Stand"
providing an ornate base unit. 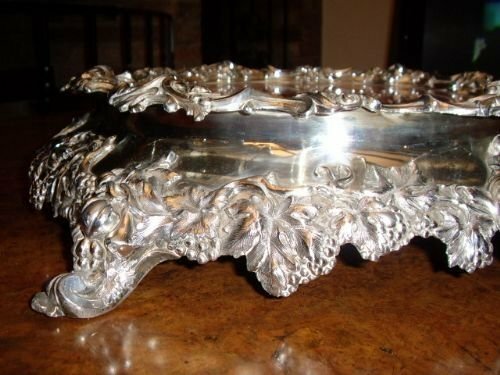 ideal for a specialist cake maker to use for presention or hiring out at weddings. 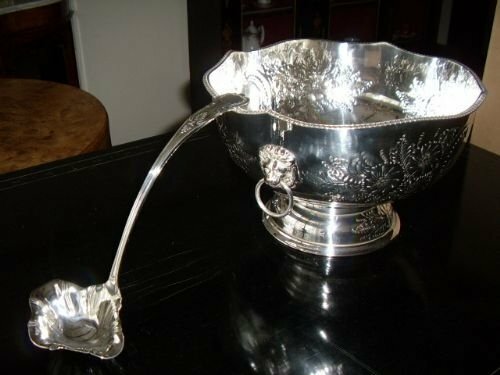 Would also look great with a "Large Silver Punch Bowl or Fruit Bowl on the Stand. 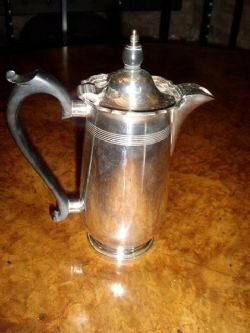 I have looked carefully for a makers stamp or other marks,but cannot find any signs of one. 19 1/2 Inches Diameter to include feet. 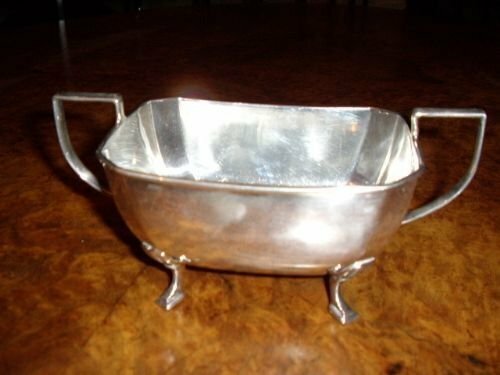 4 1/4 Inches in Height. 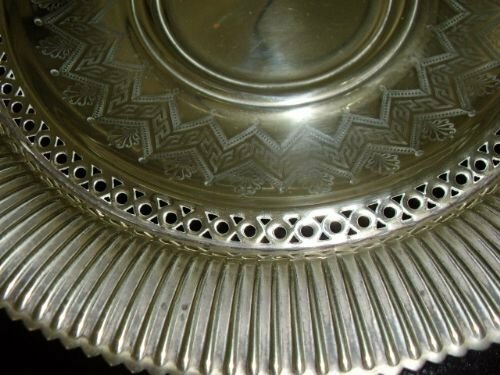 The upper rim diameter is 16 Inches. 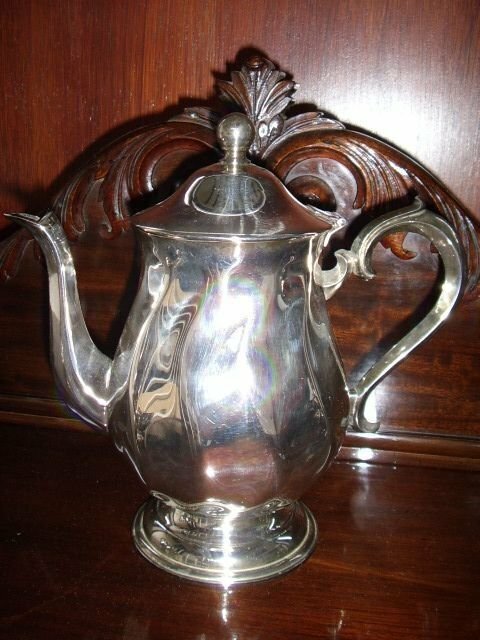 A STUNNING ITEM WITH A HIGH STANDARD OF FINISHING AND PROBABLY A ONE OFF. 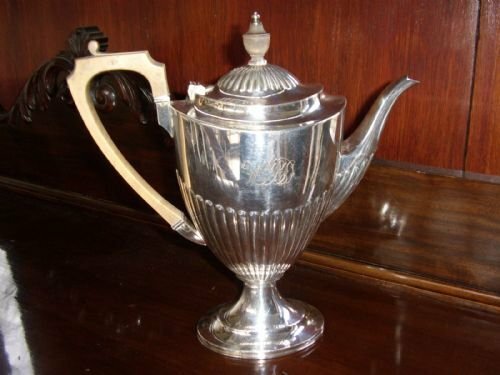 PLEASE TELEPHONE 07765 856171 TO RESERVE. 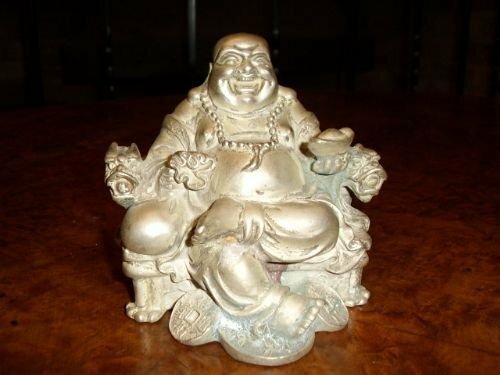 NEEDS TO BE SEEN TO BE FULLY APPRECIATED & IS MUCH LARGER THAN LOOKS IN IMAGES. 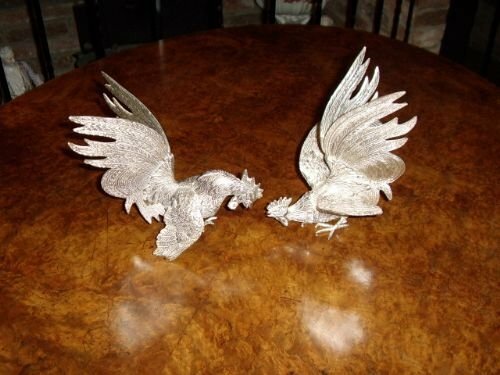 A fine detailed pair of continental solid chromium silver plated table cockrells in a fighting pose each having been carefully hand crafted and neatly silver soldered. 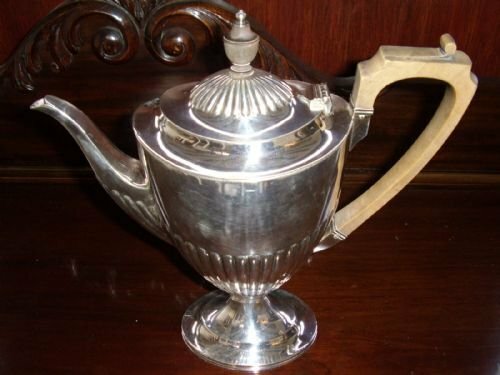 Good condition being quite heavy and engraved in considerable detail,but are unstamped. 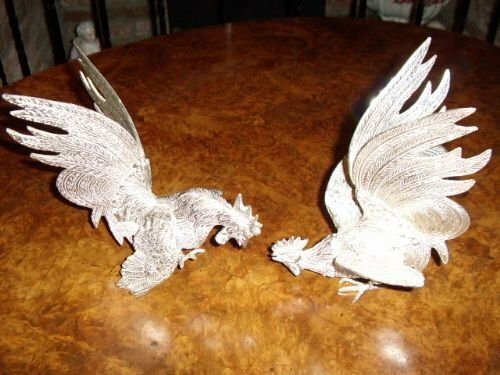 The sizes are approximate as each bird varies. 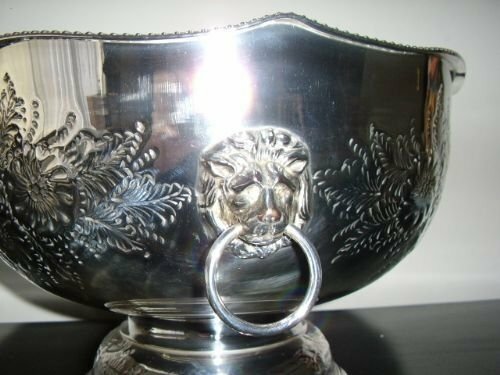 A 1920 Quality Silver Plated Punch Bowl with ladle, having lion face handles with rings through their mouths as handles. 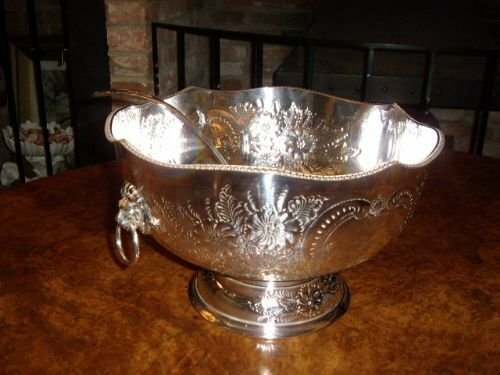 The Punch Bowl is well plated on a base metal of copper and is decorated with impressed and raised flower and leaf design. 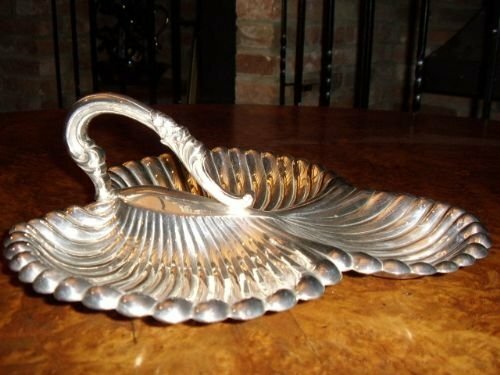 The Ladle is stamped A1 plate and is idesigned with a shell shaped scoop and is included. Both items belong together and have been cleaned throughout with silver polish. 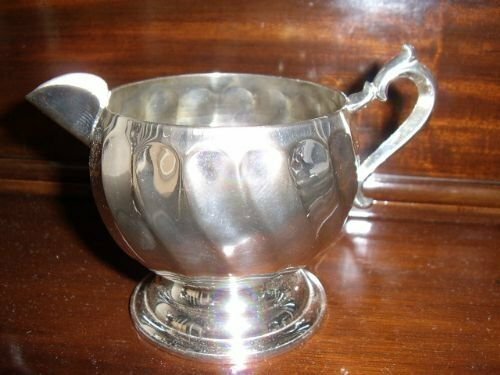 Condition is very good,with only a little thinning of plate in the bottom of the punch bowl due to movement of ladle when serving. 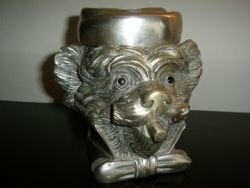 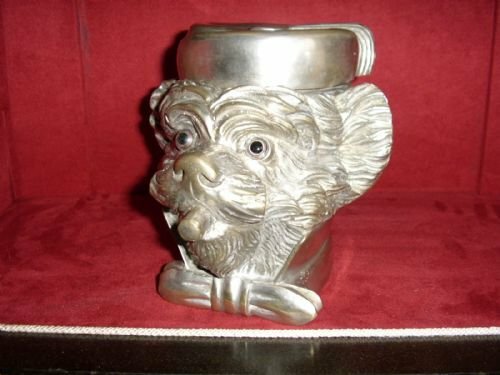 A very unique quality one off collectors novalty tobacco jar in the form of an Monkeys head,made to a good sized realistic scale and a fairly weighty piece. All being beautifully cast and hand crafted in great detail from faux silver mixed metal alloys ,which have been carefully worked and highly polished to provide an appearance similar to real pure silver. 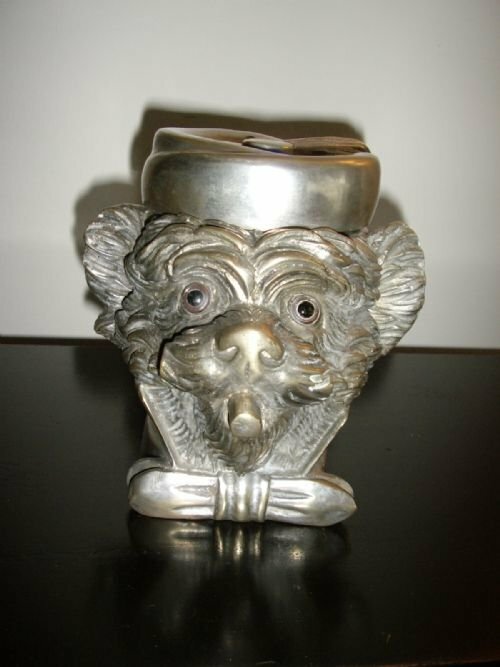 The monkey is depicted wearing a dickie bow tie and high shirt collar,having his fur coat detailed in the fine casting throughout the front,side and rear views. 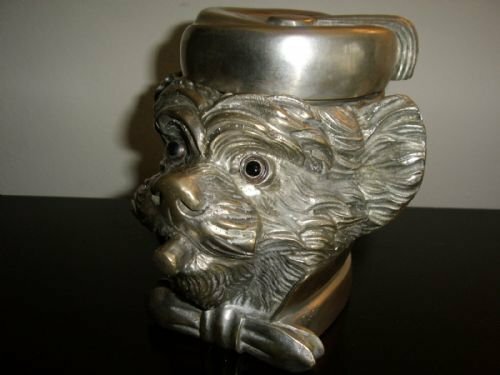 The monkeys head has been made to function with an hinged cap styled lid in the form of a Turkish fez with tassel,and conceals a cylindrical compartment for the storage of loose tabacco. 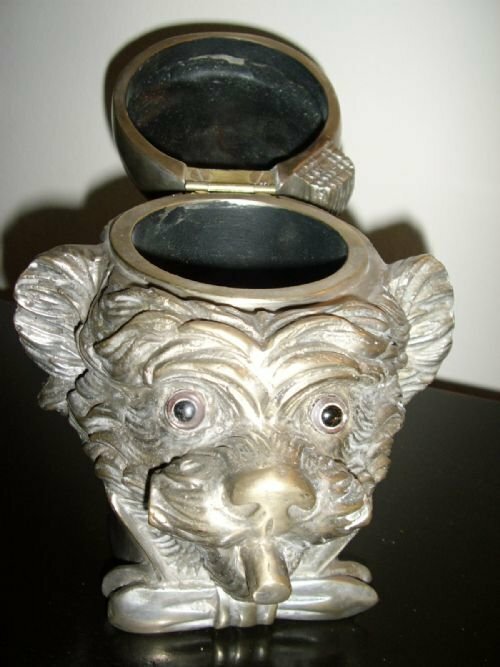 The eyes are glass and the monkey can be seen holding a cheroot or small cigar with both ends cut off squarely in the mouth,thus confirming the item is a tobacco jar,and probably a special promotional item specially made for a shop window display. 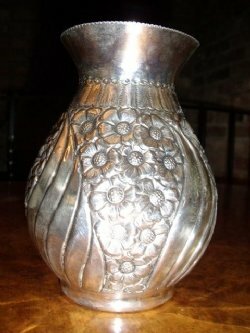 The item is in excellent condition throughout. 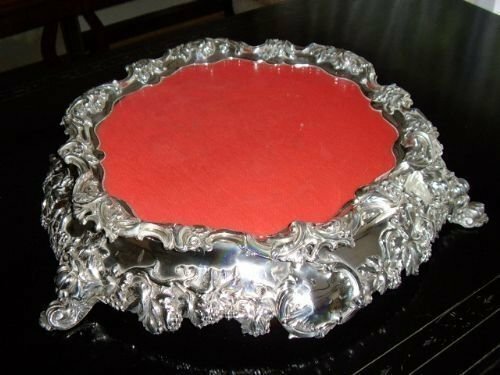 The underneath has been nicely finished with a closed base made from a sheet of polished faux silver metal alloy,requiring no need for a table protector underneath. 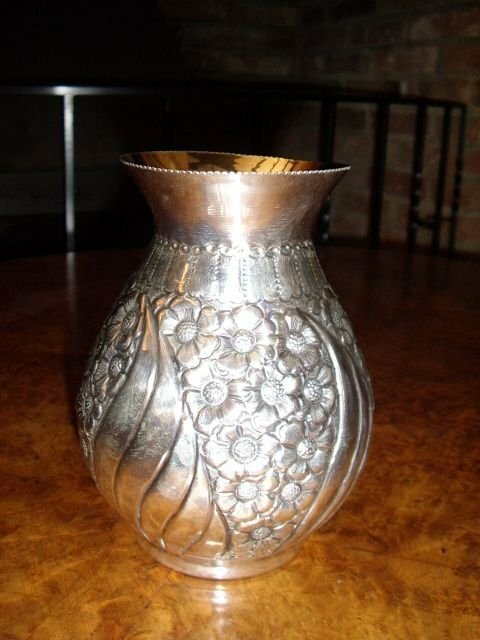 A fine quality SILVER hand crafted vase decorated with daises. 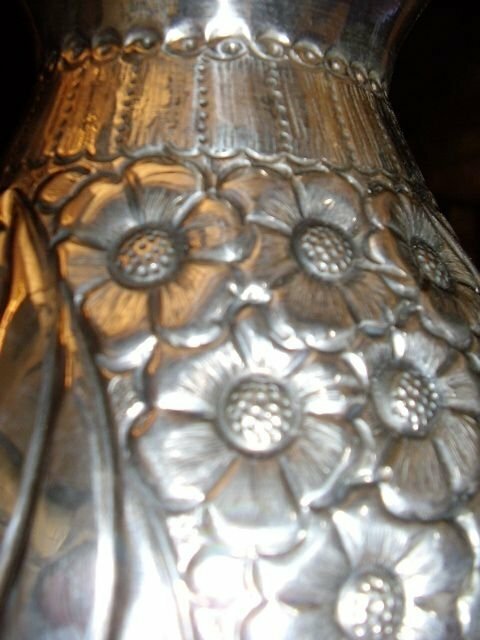 The vase is stamped underneath with initials "GT" 900,and is believed to have been made by George Tarratt. The condition is very good and is very detailed in relief with daises. 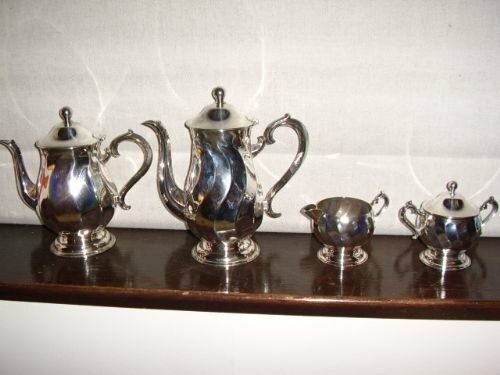 A fine silver plated Tea & Coffee 4 piece set,with milk jug and sugar pot having lid. 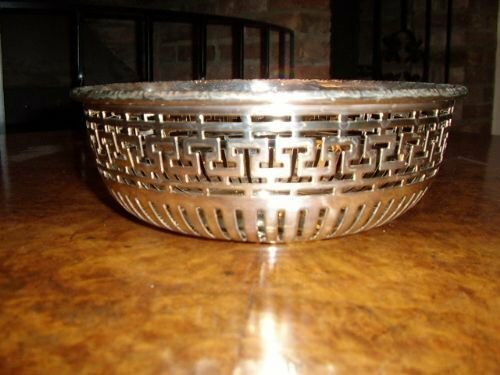 The design has a unique twist finish in the pattern and manufacture,and has a beautiful finish. 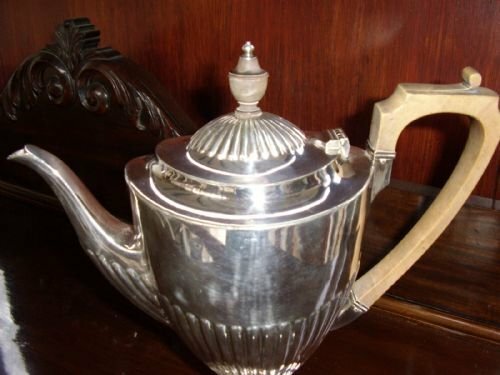 Condition is excellent with no damage or marks seen,and the interior is clean and quite usable. 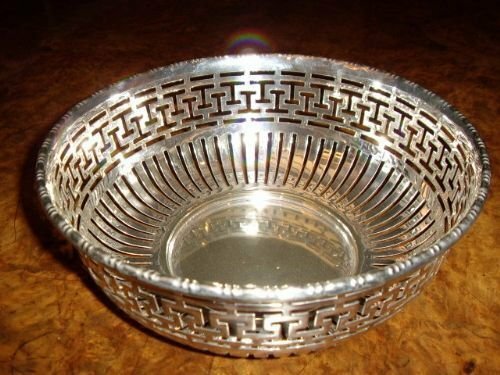 There are no visable makers marks underneath. 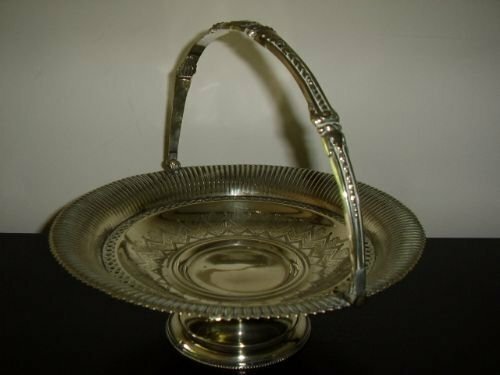 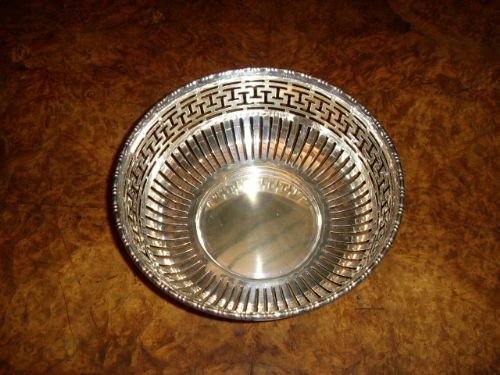 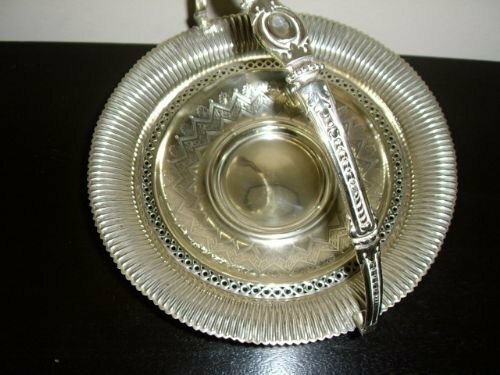 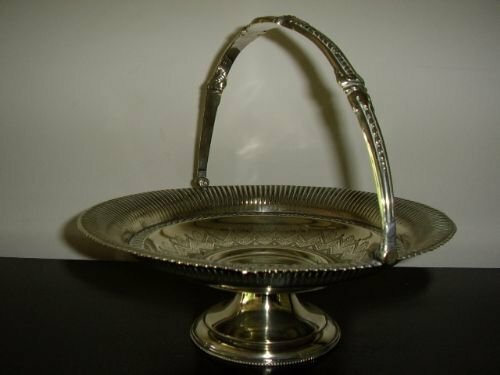 A fine Silver Plated Pierced fruit bowl made in London by "The Alex E. Clark Company Ltd"
Stamped on the underneath "Welbeck Plate"
Beautifully polished and with fine piecework,a very nice example. 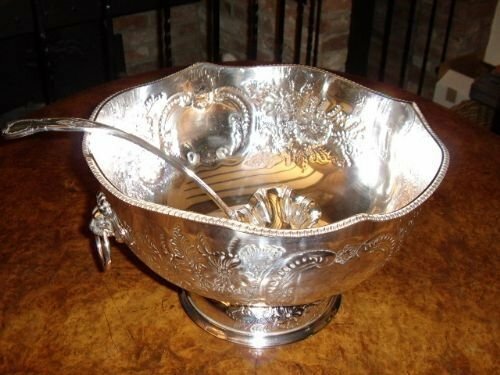 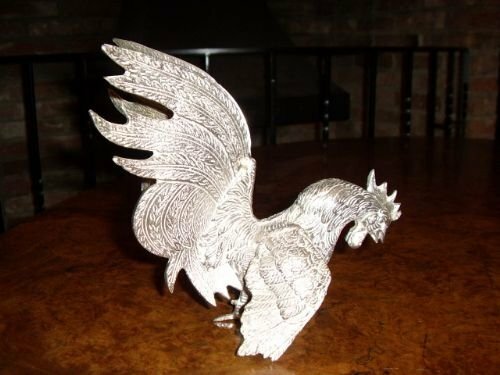 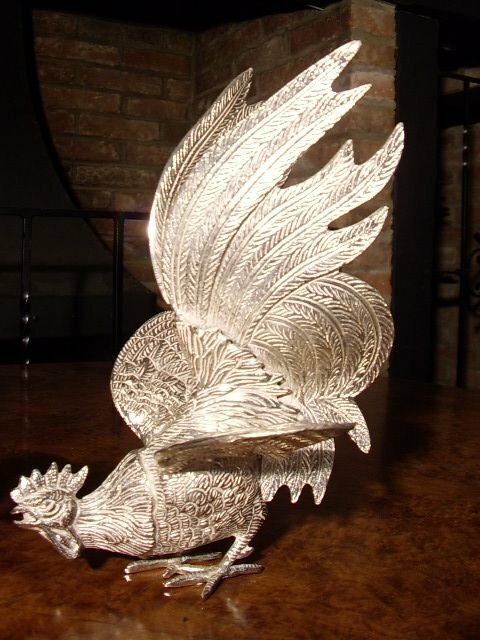 A quality "Silver Plated" and superbly etched and chaised decoration throughout. The lid has a round bone button on top with bone insulators on the handle to prevent the transfer of heat. 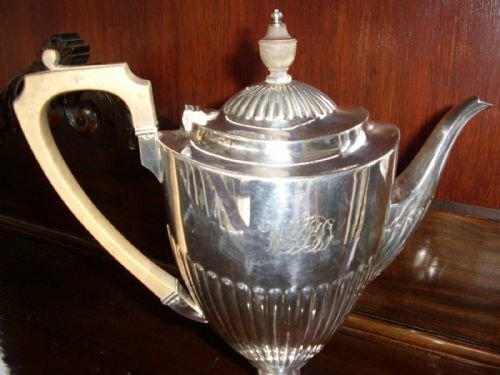 This item has a small plain area for inscribing initials,but has been left plain. 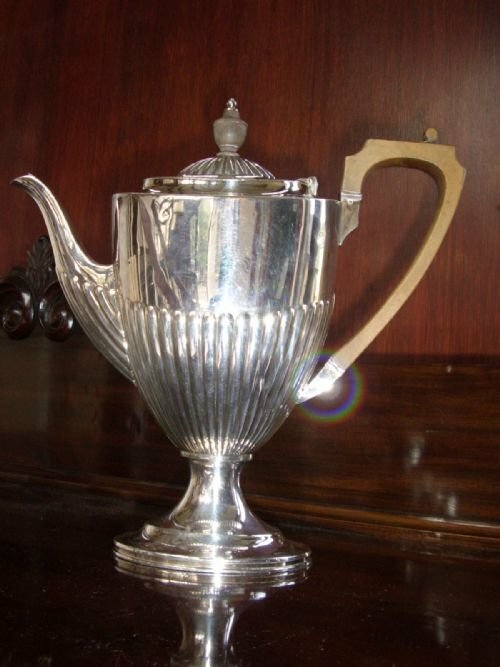 Ideal to present to a friend with their initials engraved as a gift. 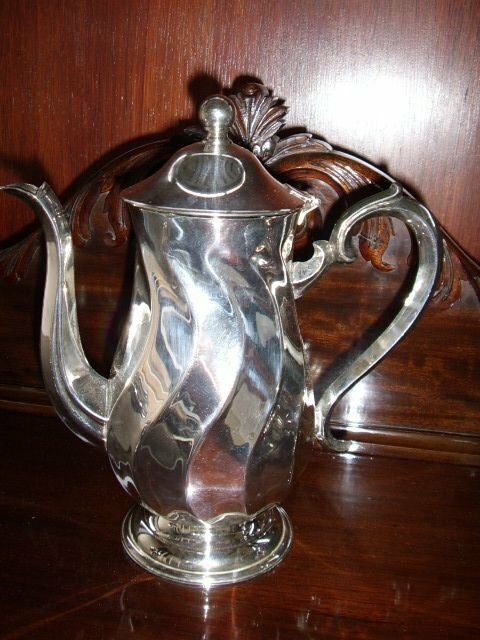 Excellent condition,well polished & clean inside. 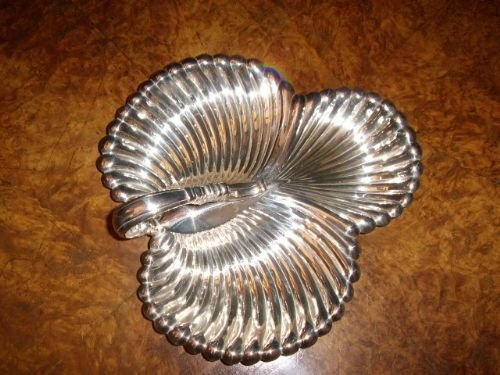 Diameter of bottom 3.5 Inches. 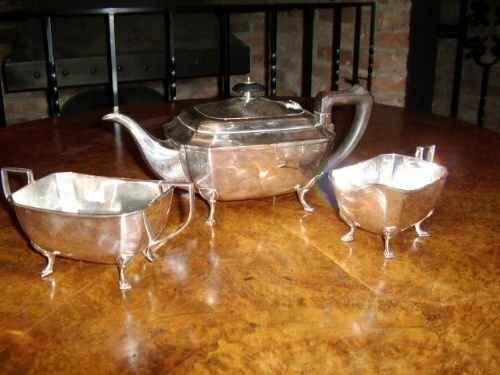 A super top quality well finished Silver Plated and hard soldered 3 piece set comprising teapot,sugar boat and milk jug. All are in fine condition,the teapot having a bakeolite handle with each piece being recently polished. 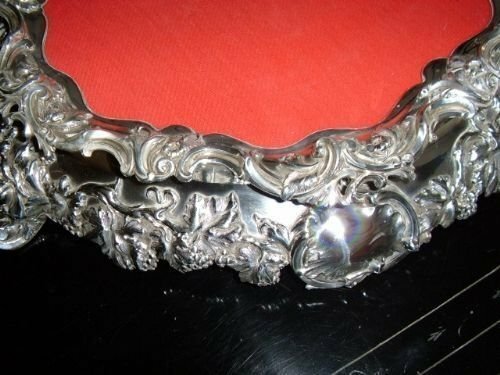 Hard to distinguish from solid silver as the item is hall marked. 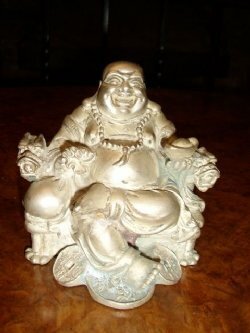 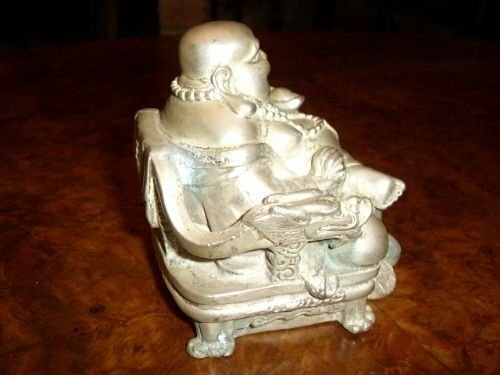 An interesting Asian Silver Buddha seen sitting & laughing. 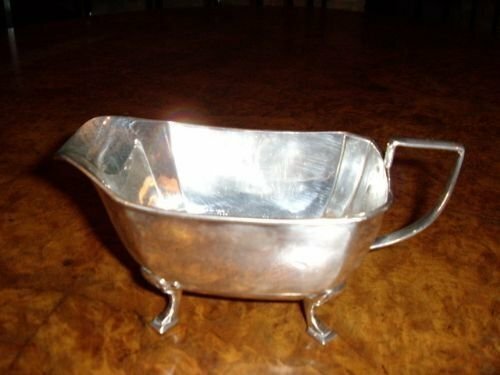 Very detailed,quite heavy and needing a further polish. 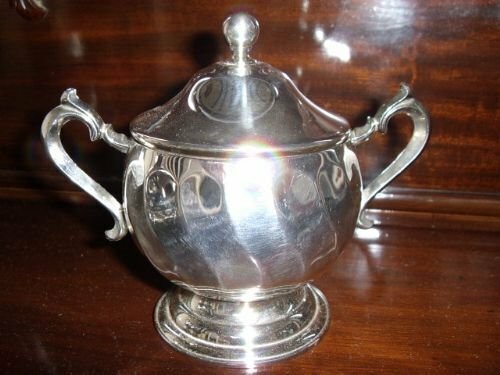 Continental silver composition and as usual not hall marked. 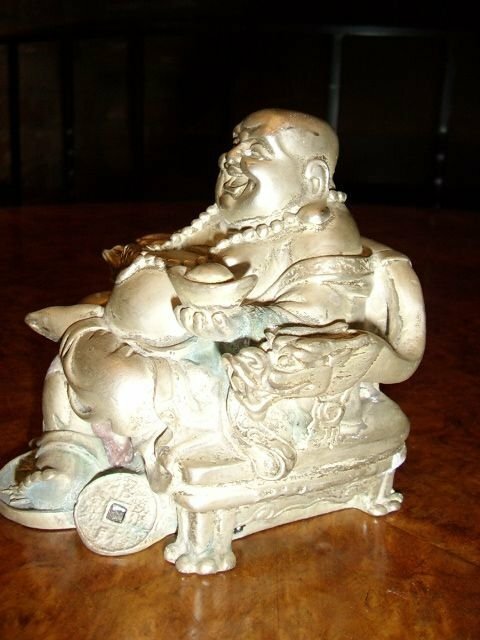 A Heavy piece,worth its money in weight alone,being at least 1.5 Kg. 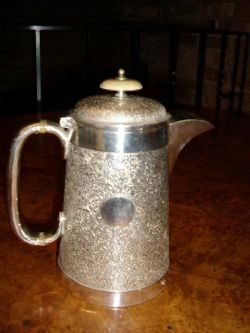 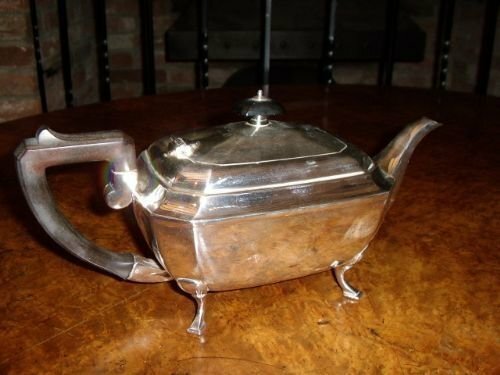 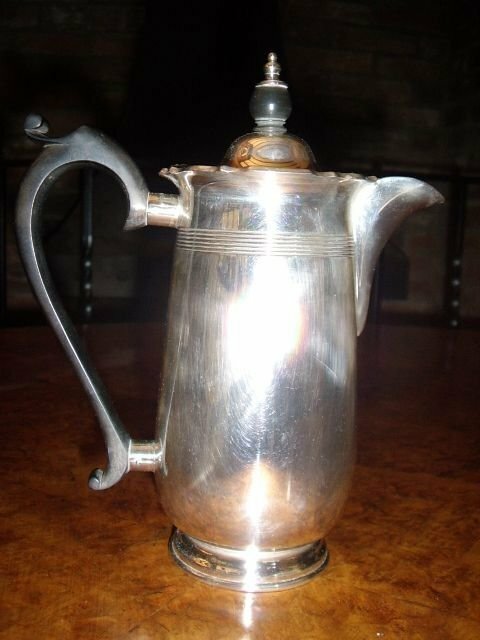 A quality "Silver Plated" Coffee Pot stamped A1 on underside and impressed hard silver soldered and made in Sheffield by "Walker & Hall "
Good condition,well made and nicely polished throughout being very clean inside. 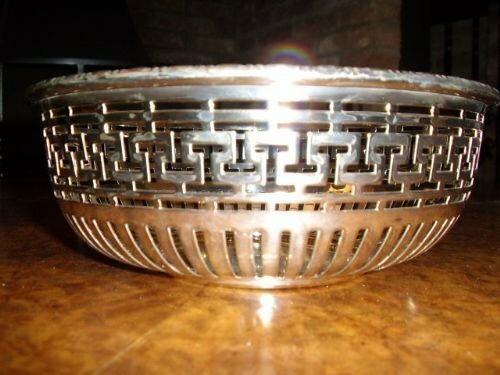 Diameter at bottom 3 Inches. 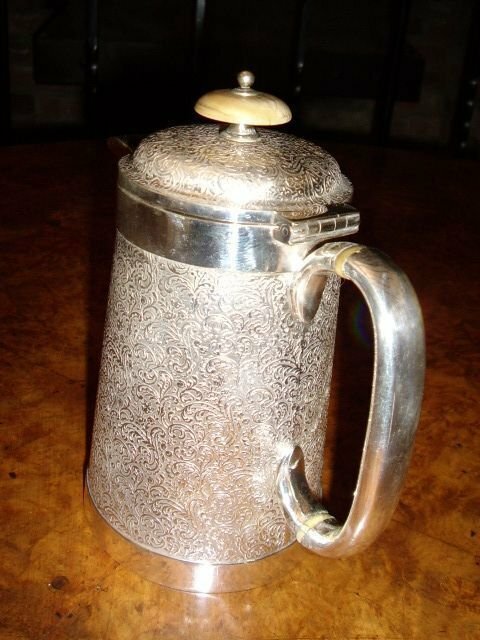 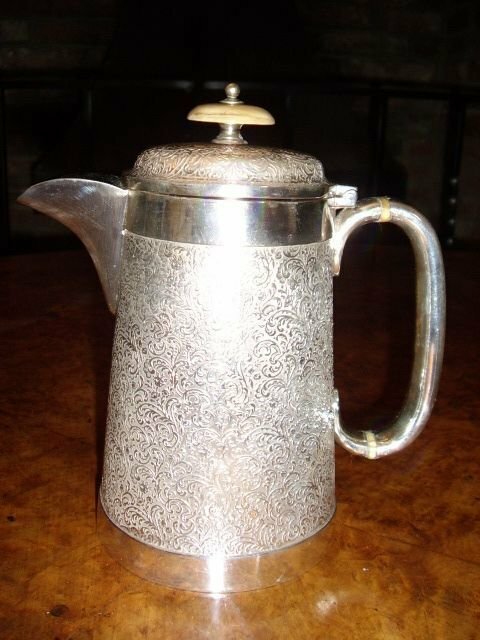 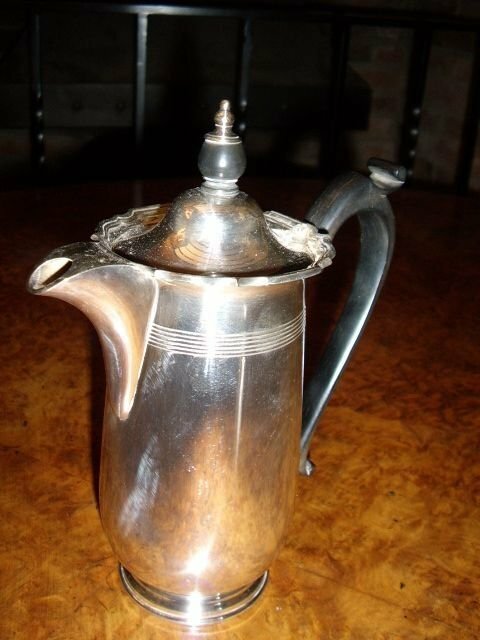 Fine Silver Plated Coffee Pot with hand crafted wooden beech handle with hin,very much styled in the George III period. 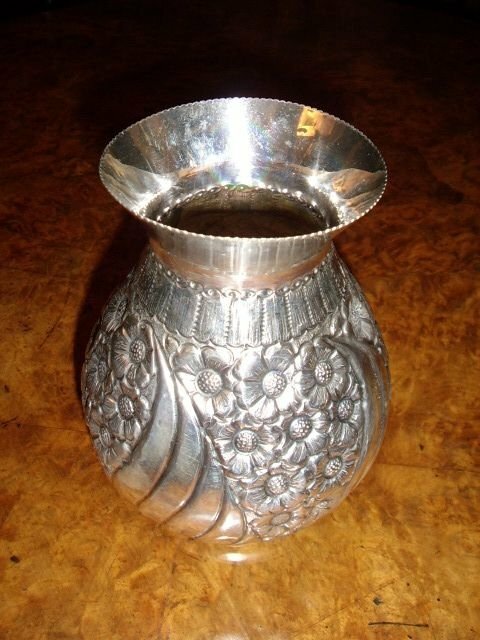 Nicely polished silvered finish with ribbed design and a suitable piece to use daily. 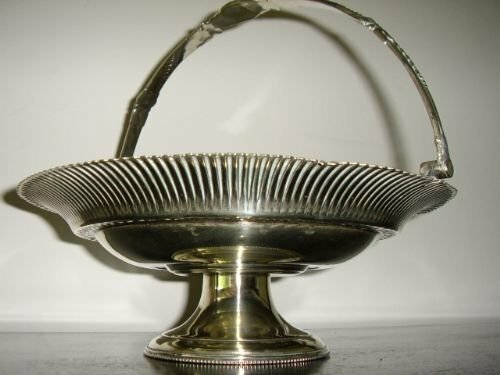 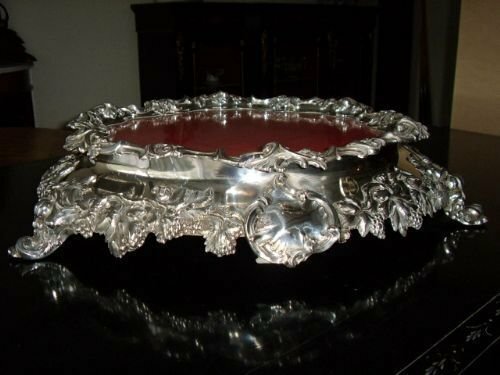 A nice usable Silver Plated comport with an ornate handle and ribbed design around the edge and etched pattern in the centre. 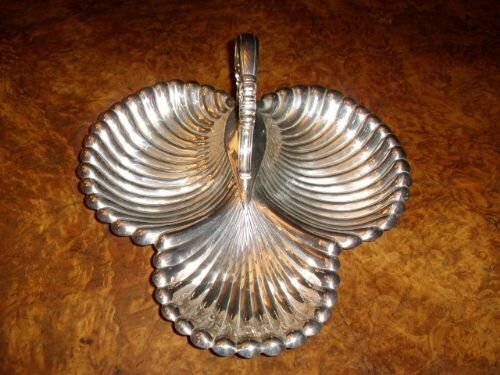 Polished up quite well with a little thining in the plate,but still looks lovely and otherwise is in good condition. 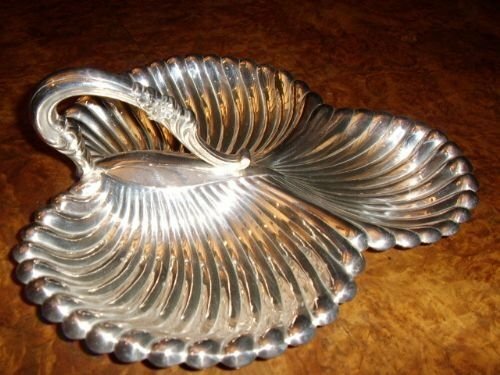 A fine quality quality "Silver Plated" Shell shaped Oyster dish being very well made and in excellent condition and beautifully polished throughout.